This item is not eligible to ship to California. Great price - SAVE over Hayward! Meets all CSA & ETL requirements. Large, easy to clean filter basket. The price is right! 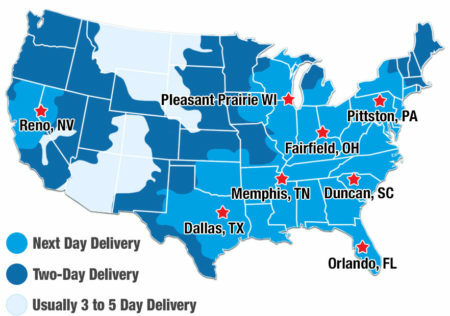 Doheny's Pumps cost less than big name brands, but offers dependable performance and outstanding results for its value. Heavy-duty construction and advanced engineering provide high efficiency and minimized noise. Designed and manufactured to meet all CSA and ETL requirements. Standard three-prong grounded cord connection. Note: Not for use with storable pools. Note: Flow rates are approximate. Note: Max Head (ft) is approximate. Strainer includes large, easy-to-clean filter basket. See-through cover allows quick inspection of strainer. Comes with a twist and lock lid. Internal threading is 1.5 inch and External threading is 2.5 inch. Convenient drain plug makes winter maintenance easy. The corrosion-proof, Stainless Steel motor shaft is constructed with a reinforced thermoplastic body for extra durability and long life. Standard three-prong plug grounded connection on a 6 ft. cord. 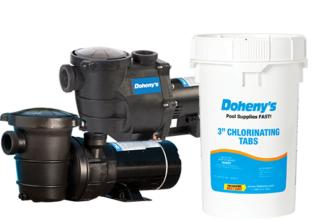 Why buy Doheny's Above Ground Pool Pump over other pumps! Why buy the Doheny Pump?